Labour has pledged to inject over £25bn into a "national education service" in England, its manifesto reveals. The Labour Party says it will scrap tuition fees in England, which were increased to more than £9,000 a year under the coalition government. The party also promises to reintroduce maintenance allowances, limit class sizes and extend free childcare to 30 hours for all two-year-olds. The Conservatives described the manifesto as "nonsensical". The Labour Party is proposing to commit an extra £25.3bn for education, funded from extra tax revenue. For early years, Labour leader Jeremy Corbyn promises 30 hours of free childcare during term-time for all two-year-olds - currently 15 hours is available to the poorest 40%. The party also wants to "transition to a qualified, graduate-led workforce, by increasing staff wages and enhancing training opportunities". It plans to halt the closure of Sure Start centres and "increase the amount of money available for Sure Start". For schools, Mr Corbyn promises that "we will make sure schools are properly resourced by reversing the Conservatives' cuts and ensuring that all schools have the resources they need". The party pledges to limit class sizes to 30 pupils for all five, six, and seven-year-olds and to bring in free school meals for all primary pupils, using money raised by removing VAT exemption on fee-paying schools. Labour says it would abandon plans to reintroduce baseline assessments and review national curriculum tests (known as Sats) for Key Stage 1 and 2 pupils, to discourage "teaching by test". The manifesto states that the party would not "waste money on inefficient free schools", while dismissing grammar schools as a "Conservative vanity project". It also promises to extend school counselling, at a cost of £90m. As previously leaked, the manifesto sets out a promise to scrap university tuition fees in England. 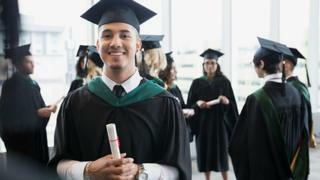 Free lifelong education in the further education (FE) sector would be available for anyone who wanted "upskill or retrain at any point in life". Funding for 16- to 18-year-olds would be brought in line with funding for younger pupils and the educational maintenance allowance (EMA) would be restored for 16- to 18-year-olds from lower and middle income backgrounds. The manifesto says: "When the 1945 Labour government established the NHS, it created one of the central institutions of fairness of the 20th Century. "The NES [national education service] will do the same for the 21st, giving people confidence and hope by making education a right, not a privilege, and building bridges where the Conservatives build barriers." But the Chief Secretary to the Treasury, David Gauke, said: "Today confirms what we already knew: Jeremy Corbyn's nonsensical ideas simply don't add up. "And every single working family in this country would pay for Corbyn's chaos with higher taxes." Neil Leitch, chief executive of the Pre-school Learning Alliance, said there was much he welcomed, in principle, in the manifesto, but said free childcare policies needed to be adequately funded. "Experience has taught us to be sceptical of claims of 'fully costed, fully funded free childcare' schemes," said Mr Leitch. "As we've seen with the existing 30-hour offer for working families, if such policies aren't adequately funded, many providers simply won't engage with them. "As such, as is always the case, the devil is in the detail. "If Labour's policy costings are based on existing early-years funding rates, which have long been insufficient, then this pledge will inevitably will be underfunded. "Ultimately, there is a lot to welcome in principle in this manifesto - but only with adequate funding, based on proper costings, can such promises be delivered in practice." Labour's pledge to increase school funding was welcomed by the National Association of Head Teachers. General secretary Russell Hobby said: "It is encouraging that the Labour Party is committing to extra funding for education. "We have been campaigning for the £3bn real terms cuts to be reserved, and all political parties need to sign up to this. "We know that the school funding crisis is hitting all schools."